"To great writers," Walter Benjamin once wrote, "finished works weigh lighter than those fragments on which they labor their entire lives." Conceived in Paris in 1927 and still in progress when Benjamin fled the Occupation in 1940, "The Arcades Project" (in German, "Das Passagen-Werk") is a monumental ruin, meticulously constructed over the course of thirteen years--"the theater," as Benjamin called it, "of all my struggles and all my ideas." Focusing on the arcades of nineteenth-century Paris-glass-roofed rows of shops that were early centers of consumerism--Benjamin presents a montage of quotations from, and reflections on, hundreds of published sources, arranging them in thirty-six categories with descriptive rubrics such as "Fashion," "Boredom," "Dream City," "Photography," "Catacombs," "Advertising," "Prostitution," "Baudelaire," and "Theory of Progress." His central preoccupation is what he calls the commodification of things--a process in which he locates the decisive shift to the modern age. 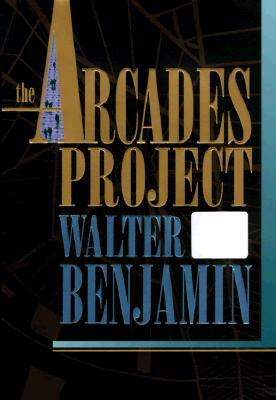 "The Arcades Project" is Benjamin's effort to represent and to critique the bourgeois experience of nineteenth-century history, and, in so doing, to liberate the suppressed "true history" that underlay the ideological mask. In the bustling, cluttered arcades, street and interior merge and historical time is broken up into kaleidoscopic distractions and displays of ephemera. Here, at a distance from what is normally meant by "progress," Benjamin finds the lost time(s) embedded in the spaces of things.